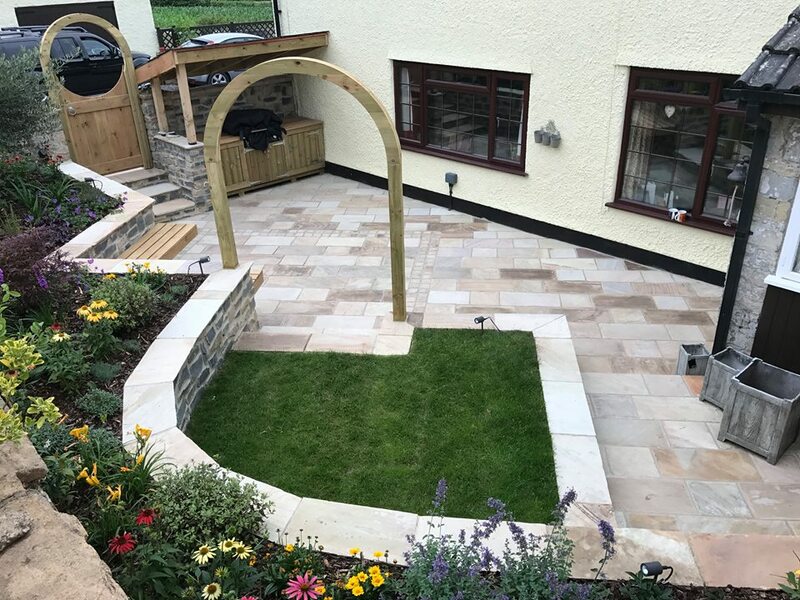 Congratulations to Anstee Landscaping who out of the 3 final contestants was judged by our anonymous panel as the favourite. Ralph’s photo (seen below) will be used as the front cover on our 2019 Price List as well as being used as the main image on our website homepage banner. The silver medal went to TG Landscapes whose photo (below) was adjudged to be second favourite from the final 3. 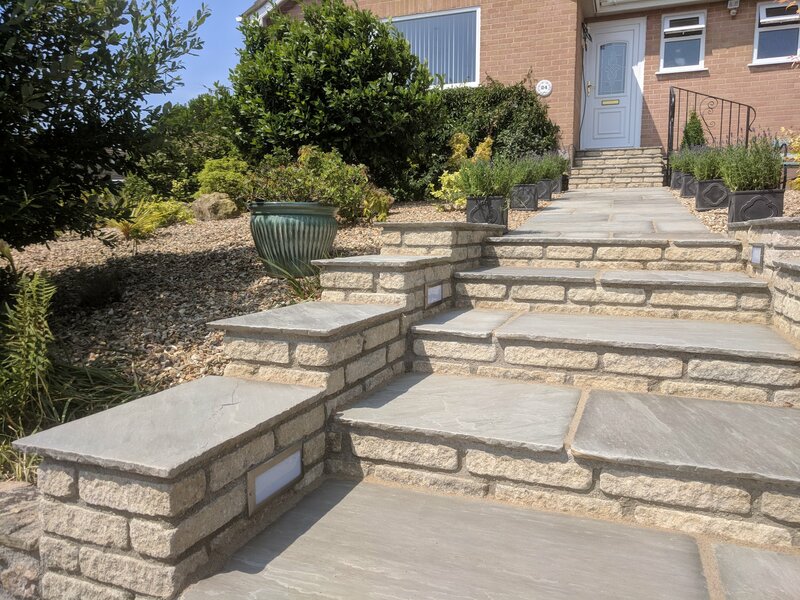 On display is Castacrete’s Mint Fossil Indian Sandstone with match sandstone setts incorporated into the patio which creates a courtyard effect. The bronze medal went to PH Landscaping whose photo (seen below) narrowly missed out on second place. 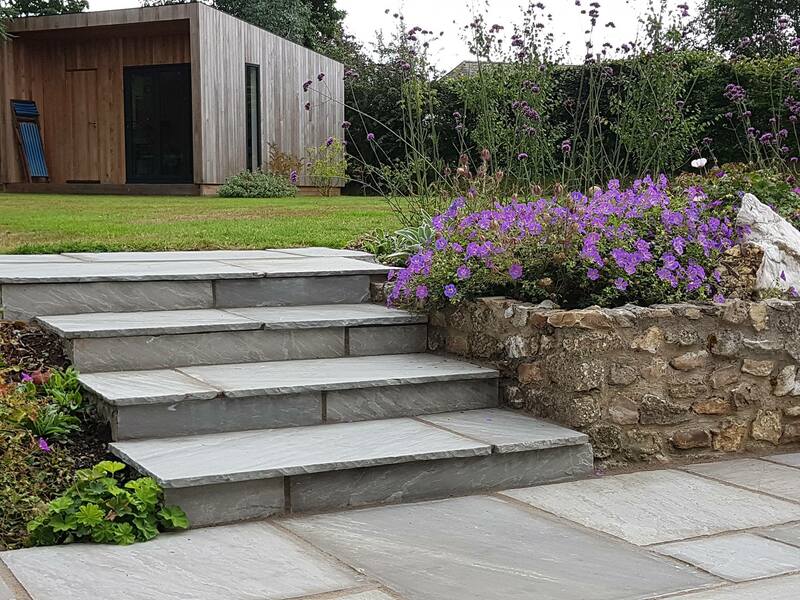 On display is Castacrete’s Grey Indian Sandstone used for the patio and also cladded for the steps.